Today we get to know Jone Vaituleviciute of Startup Wise Guys. Startup Wise Guys is a mentorship-driven accelerator program for early stage B2B SaaS, Fintech, Cybersecurity & Defense AI startups, providing seed capital (€30K), office space and most importantly – world-class mentors. To support the Women in Tech podcast go to https://www.patreon.com/womenintech - tweet @womenintechshow and @EspreeDevora. Today we get to know Rita Sakus of Lithuanian Business Angel Network. Lithuanian Business Angel Network (LitBAN) fosters business angel activity through communication, events, networking, syndication of deals both locally and across Nordics by uniting wealthy individuals, successful entrepreneurs, and executives that are curious about angel investing activity, are interested in sharing their knowledge and network with new entrepreneurs. To support the Women in Tech podcast go to https://www.patreon.com/womenintech - tweet @womenintechshow and @EspreeDevora. Today we get to know Sandra Golbreich of Baltic Sandbox. Baltic Sandbox is first FinTech acceleration program in Lithuania, helping FinTech and SaaS startups who are interested to expand their operations to Europe. To support the Women in Tech podcast go to https://www.patreon.com/womenintech - tweet @womenintechshow and @EspreeDevora. Today we get to know Ieva Upeniece of Baltic Sandbox. Baltic Sandbox is first FinTech acceleration program in Lithuania, helping FinTech and SaaS startups who are interested to expand their operations to Europe. To support the Women in Tech podcast go to https://www.patreon.com/womenintech - tweet @womenintechshow and @EspreeDevora. Today we get to know Marija Rucevska. Quro aims to help humanity win the war against climate change, a war which at present is being lost. TechChill celebrates the best of the Baltic startup community by annually bringing together 2000+ attendees, including the fastest growing startups, most innovative corporations, investors active in the region and talented tech enthusiasts. To support the Women in Tech podcast go to https://www.patreon.com/womenintech - tweet @womenintechshow and @EspreeDevora. Today we get to know Sirla of Spray Printer. Spray Printer is a robot muralist that creates public art with an impact; robots print images in any size to any flat surface. To support the Women in Tech podcast go to https://www.patreon.com/womenintech - tweet @womenintechshow and @EspreeDevora. Today we get to know Linda Sinka of Learn IT. Learn IT is an interactive coding club for students of grades 1 - 9 where children develop logical thinking, problem solving and cooperation skills. To support the Women in Tech podcast go to https://www.patreon.com/womenintech - tweet @womenintechshow and @EspreeDevora. Today we get to know Liva Perkone of TechChill. TechChill is organized by a non-profit foundation of the same name, empowering the Baltic startup ecosystem throughout the year. To support the Women in Tech podcast go to https://www.patreon.com/womenintech - tweet @womenintechshow and @EspreeDevora. Today we get to know Marite Aleksandra Silava of Swedbank. Swedbank - our goal is to encourage people to save for a better future and we aim to help people, businesses and society to grow by promoting a healthy and sustainable economy. To support the Women in Tech podcast go to https://www.patreon.com/womenintech - tweet @womenintechshow and @EspreeDevora. Today we get to know Charlyn Gonda of Uber Eats. Uber Eats is the easy way to get food delivered. 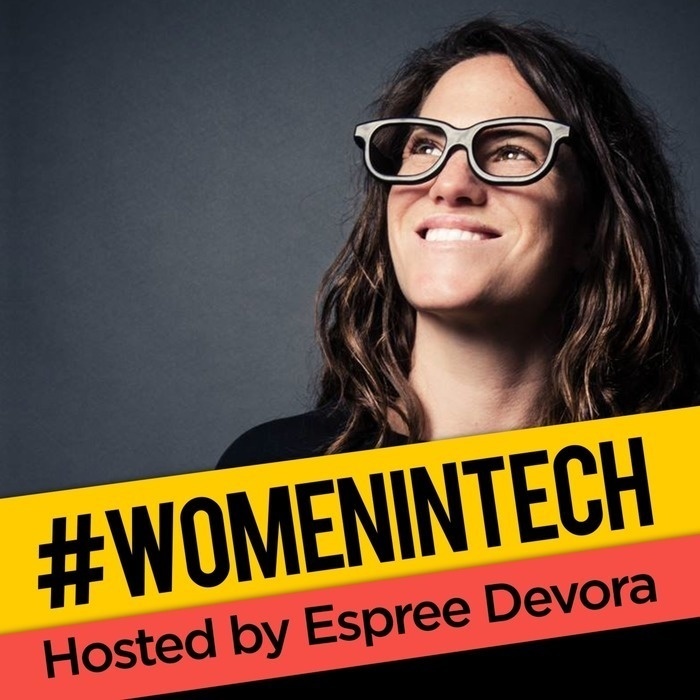 To support the Women in Tech podcast go to https://www.patreon.com/womenintech - tweet @womenintechshow and @EspreeDevora.